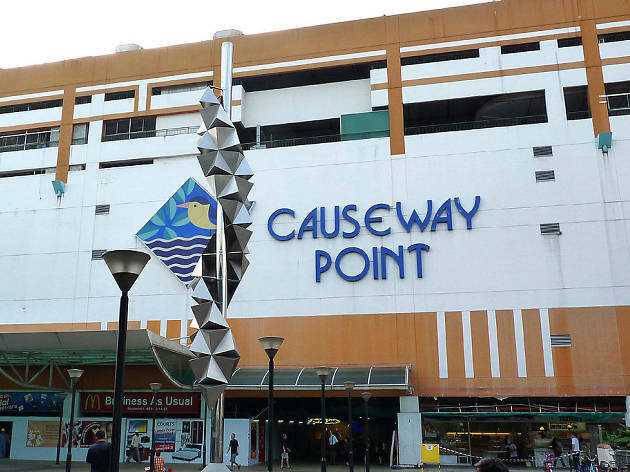 So named because of its proximity to the bridge that links Singapore to Malaysia, Causeway Point is a typical suburban shopping mall. 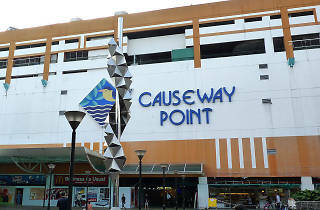 Expect the usual formula: cineplex, gaming arcade and a sprinkling of clothes and knick-knack shops. Local department stores Metro and supermarket chain Cold Storage, are anchor tenants. There are three play areas for kids in the mall. Level two has a safari-themed playground with lions, giraffes and a zebra car. On the same level you'll also find a train-themed playground with slides. Head up to level seven as that's where the kids will get to play with sprinklers, fountains, water guns and the big water bucket at the water park.